All The Pretty Dresses: Natural Form Seaside Dress! 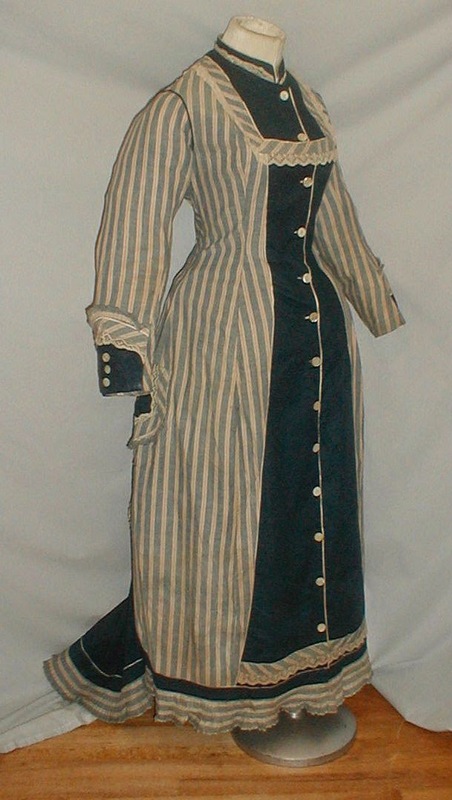 A charming 1880’s blue and white stripe cotton bustle dress. The one piece dress is designed in the Princess style. The front and back panels are made of navy blue cotton. 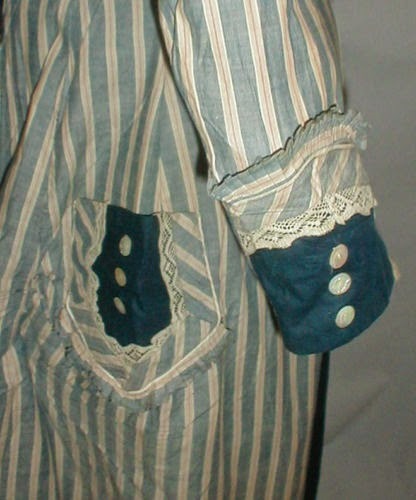 The sleeve cuffs and two front pockets are made of both colored fabrics. The dress is trimmed with crocheted lace. 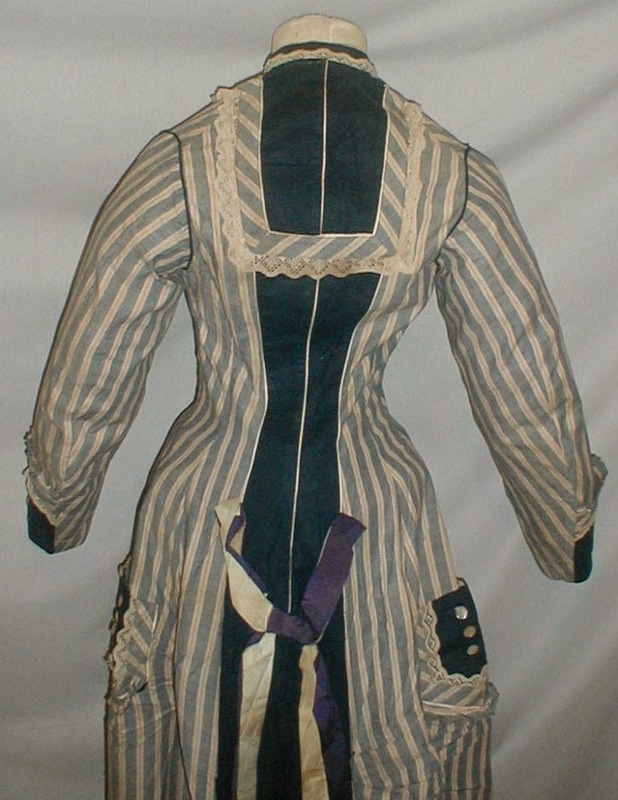 The back bustle area is trimmed with blue and white silk ribbon and the skirt has a back train. The dress is unlined and has a front button closure. It is in very good condition. There is no underarm discoloration. There are a few tiny age spots and a few slightly larger then pencil tip size holes. 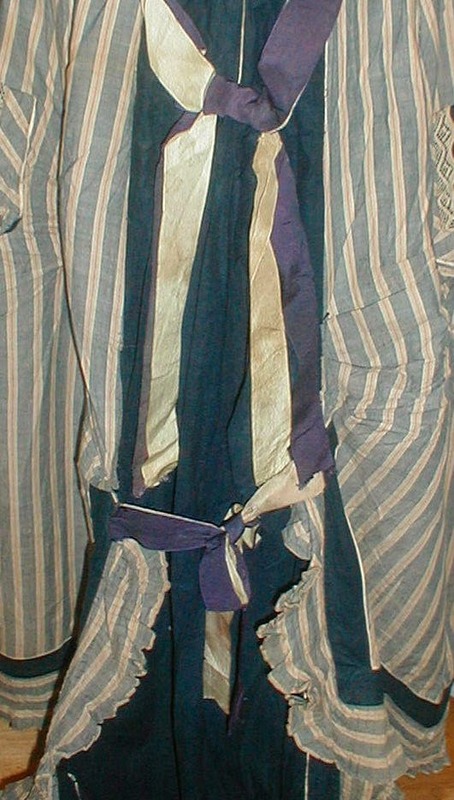 The ribbon trim has some minor age discoloration. The age flaws are very minor and do not distract from the overall appearance. 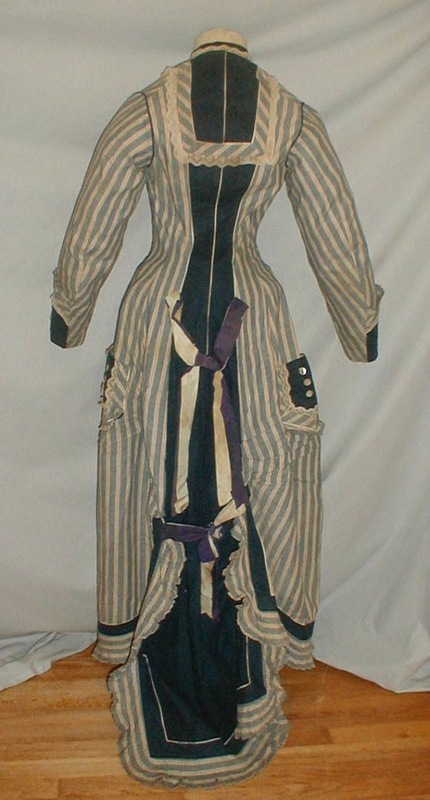 A very pretty display dress. Bust 32 Waist 26 Front length 52 Back length to edge of train 60. I swore I posted this before but I couldn't find it. 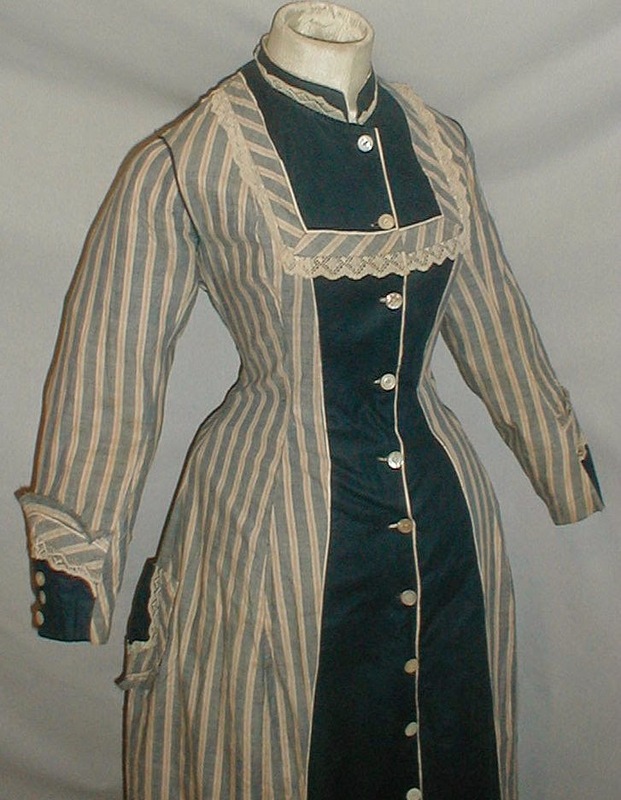 Late 1870's/early 1880's natural form. Oh what fun! I LOVE sailor/seaside dresses and this one makes me so happy!!! Thank you for sharing this dress! 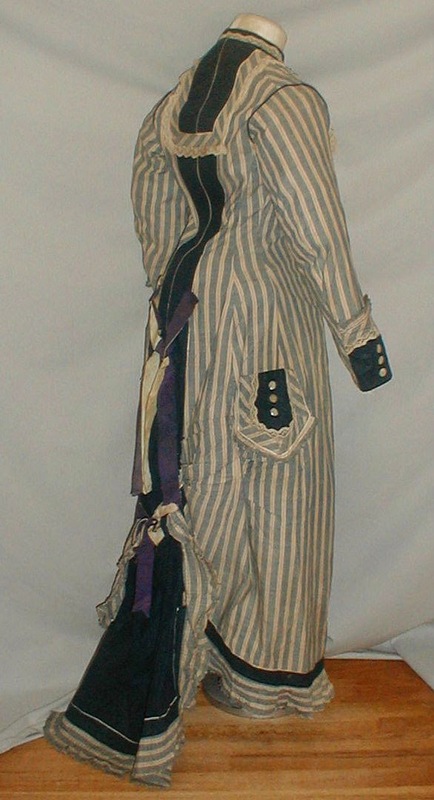 Do you know the owner of this gown? I'm interested in acquiring it, if it is still for sale or comes up again. No. I only know that it was for sale last year on ebay. The link to the seller's page will still give you the original seller's name. You can contact him and ask to pass your information on to the buyer if he still has some receipt from last year.